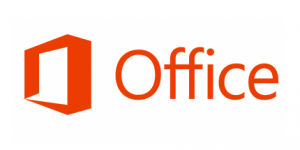 Office 2016 will be available for all campus Windows and Mac OS computers beginning April 1st. You will find these products available via your computer’s LANDesk software portal (The LANDesk Portal Manager for Windows clients, or LANDesk Workspaces for Mac OS) where they may be selected for download and installation on your local system. Uninstalling the previous Office products is recommended, but not required. Please contact the OIT Help Desk if you do not see Office 2016 listed, if you have any difficulty accessing the LANDesk Portal Manager, or just have questions for us! For installations off of the campus network, be sure to download and sign in to the campus VPN client prior to launching LANDesk. Please note that Office 32 bit will be the standard offering for all Windows systems regardless of the version of your computer’s operating system . For more information visit Choose the 32-bit or 64-bit version of Office. New campus computers ordered after July 1st will be delivered with Windows 10 Enterprise. Existing Windows 64 bit computers will be offered an optional Windows 10 upgrade via the LANDesk software portal (LANDesk Portal Manager) beginning July 1st. 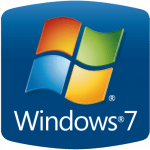 Computers currently being scheduled for upgrade through the campus tech fund will be delivered to customers running Windows 7, with Windows 10 upgrades offered for download and installation from LANDesk as well. If you utilize or support a lab or shared group of computers and would like to request an upgrade within those areas, or for any Windows computers running a 32-bit operating system, please contact the helpdesk for further assistance. 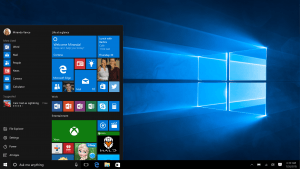 Windows 10 has been out in the wild for about three months now. A frequent question we get here at OIT is “How is it?” and “Should I upgrade?” In the IT industry, we always like to thoroughly test things out before putting our approval stamp on it. After a few months with Windows 10, we can now make some recommendations. Windows 10 brings the familiar Start menu back but in a new way that allows you to customize it with the things that are most important to you – your favorite apps, people, and files. As many people know either by personal experience or word of mouth, Windows 8.1, the previous version of Windows, was a very divisive iteration. The Start button evolved into the Start Screen, a strange mix of menus and giant colorful buttons that left a bad taste in the mouths of many. Windows 10 has backed off of the Start Screen and tile concept, bringing back the good ‘ol Start button and start menu, albeit with some changes. One feature that has carried on from Windows 8.1 is the recommendation that a Microsoft Account be used to log into your computer. This allows the majority of your computer settings, from font sizes to wallpaper, to be synced to all of your computers and devices that also use your Microsoft Account. Your settings will even carry over to a friend’s computer if you use this account. If this type of feature isn’t your cup of tea, you can always create a regular local account like you could in Windows 7 and versions previous. 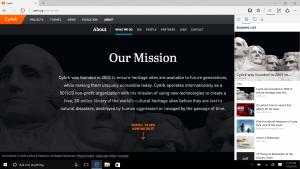 The all-new Windows 10 browser that takes you beyond browsing to doing. One that is personal, responsive, and productive – for getting things done online. A very noticeable change from previous versions of Windows is the web browser. Gone is the ubiquitous Internet Explorer that has graced Windows since 1995. The replacement is Microsoft Edge and has a familiar looking blue E for its logo. Although the logo may be similar, the two browsers couldn’t be more different. Edge is a very lean, stripped-down browser. It’s fast and simple to use but has significant drawbacks in that it has very little customization features and does not currently allow add-ons like IE. Microsoft intends to add back the add-on capability next year. In the meantime, we recommend using a different browser like Firefox or Google Chrome if you need a little bit more flexibility. Other cool features include better multiple display support, Cortana; a voice-activated search tool and “personal assistant,” as well as improved built-in programs for e-mail, paint, etc. Another huge factor in recommending Windows 10 is its reliability. So far, we haven’t found many major issues regarding program compatibility or glaring bugs that would negatively affect the user experience. Issues that you may run into could include hardware driver compatibility problems if the manufacturer has not provided a Windows 10 compatible update for your particular device. Apart from this, there have been few issues that would be considered severe. Overall, Windows 10 has proven to be a solid and enjoyable experience in its first few months of life. If your machine meets the minimum requirements, you can upgrade without much worry. If you use Windows 8 or 8.1, we definitely recommend the upgrade in order to revive much-needed usability. 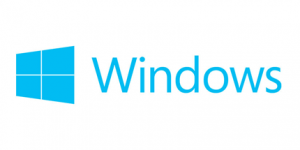 Microsoft is in the process of releasing their new Windows 10 Operating System. The software will be available to download free of charge. There are several scams circulating around this new release. The scammers are pretending to be Microsoft Tech Support and are contacting individuals via phone, email or browser pop-up windows that appear to be legitimate but actually contain malware. Please do not click on any popup add claiming to be from Microsoft about your Windows 10 upgrade. OIT is in the process of reviewing the Windows 10 Operating System and ensuring that University applications will continue to function properly with this new OS. More details regarding the upgrade process will be communicated in the Fall.